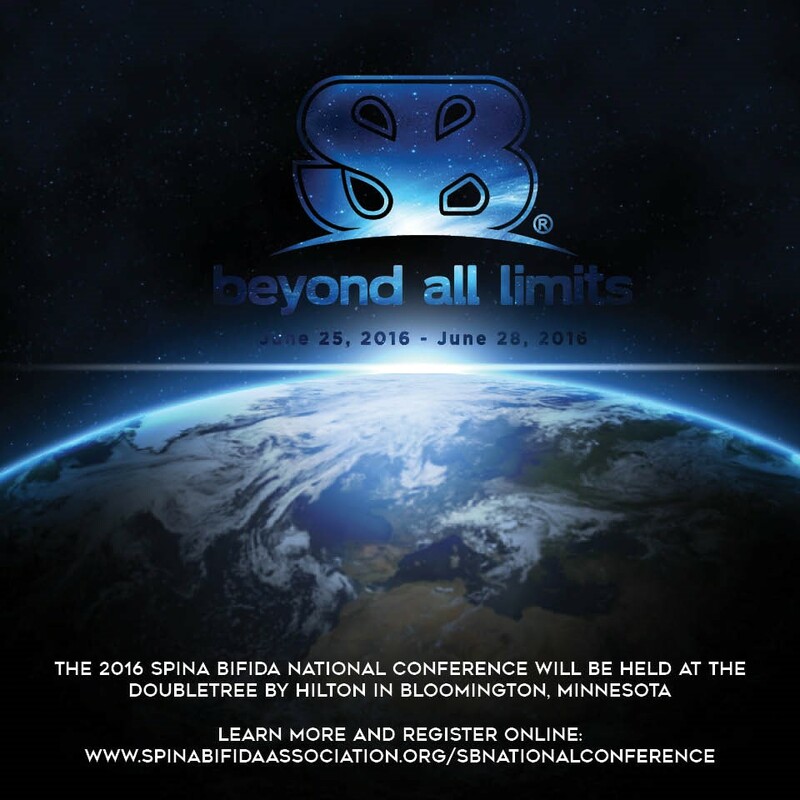 The 41st Spina Bifida Association (SBA) National Conference is being held this June 25th- 28th in Bloomington, Minnesota, and we are thrilled to be going Beyond All Limits for the Spina Bifida community! You won’t want to miss all the speakers, sessions, networking, and fun this summer in Bloomington. In particular, we want you to CONNECT with other Spina Bifida community members by being there for the exceptional medical sessions, practical workshops, and memorable social events each day. The National Conference is an exciting and informative event for the entire Spina Bifida community. Children and adults with Spina Bifida, their families, physicians, nurses, and other clinicians will have the unique opportunity to gain information on the latest medical care and network on various topics that affect their lives and professions.